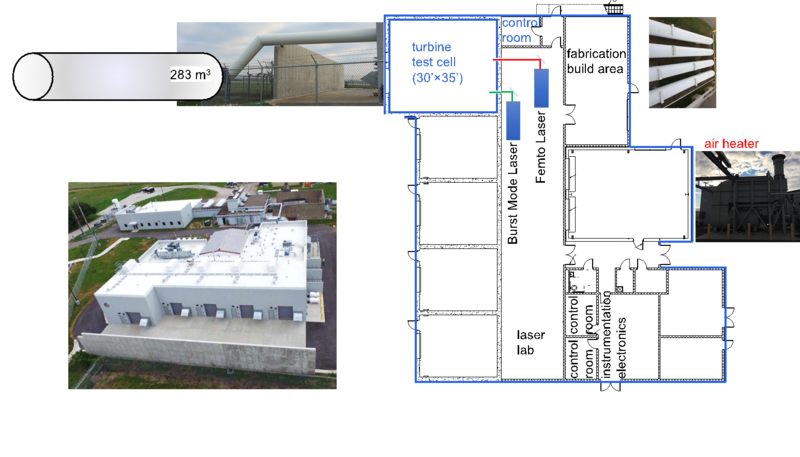 The facility can perform both short transients and long duration tests, suited for precise heat flux, efficiency, and optical measurement techniques to advance turbine aero-thermal-structural engineering. The PETAL facility comprises three test sections, offering a wide range of Technology Readiness Level (TRL) research opportunities. The linear test section is well suited for TRL 1-2 research, specially designed to allow complete optical access to all the test section. 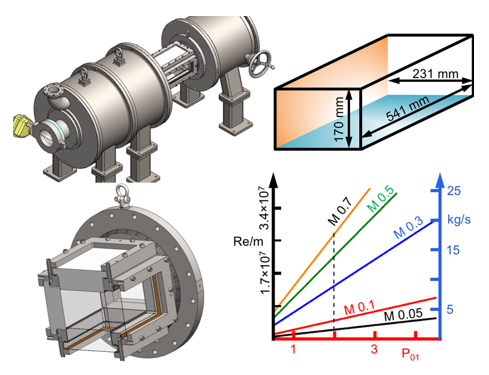 The annular test section is designed with optical access to perform proof of concepts as well as validate turbine components at relevant non-dimensional parameters in small engine cores. This test section offers TRL 3-4. This test section offers subsonic, transonic and supersonic operation, the maximum massflow is 30 kg/s, with a very wide range of Reynolds and temperature ratios. In collaboration with Rolls-Royce we have developed the Small Turbine Aerothermal Research Rig, suitable for TRL 5-6. This is a rotating test section capable of housing a two-stage compact turbine. PETAL facilities have been designed and built with high amounts of optical access. For areas of the test sections where standard optical windows are not practical, novel optical probes have been designed to allow laser delivery and imaging access to regions of interest that have not been accessible in the past. Particle Image Velocimetry (PIV) is an optical measurement technique that employs seed particles, an illumination laser and high speed cameras to measure instantaneous or phase averaged velocity vectors in a 2 dimensional region of interest. At PETAL, PIV will be used to perform velocity measurements in boundary layers, as well as stator and rotor passages, inlet and exit planes, and tip-gap regions. This will allow a level of characterization for turbine flow fields that has not been achieved before. Several optical surface measurement techniques are also being employed at PETAL. Oil film measurements are used to determine the rate of skin friction on turbine surfaces. Additionally, Pressure Sensitive Paint and Thermographic Phosphorous can give high frequency measurement of skin pressure and temperature on test articles. With engine analysis codes (T-mats, Modelica, NPSS) compact CO2 cycles, detonation cycles and other are investigated. in-house developed correlations are used to predict efficiency, engine component matching etc.